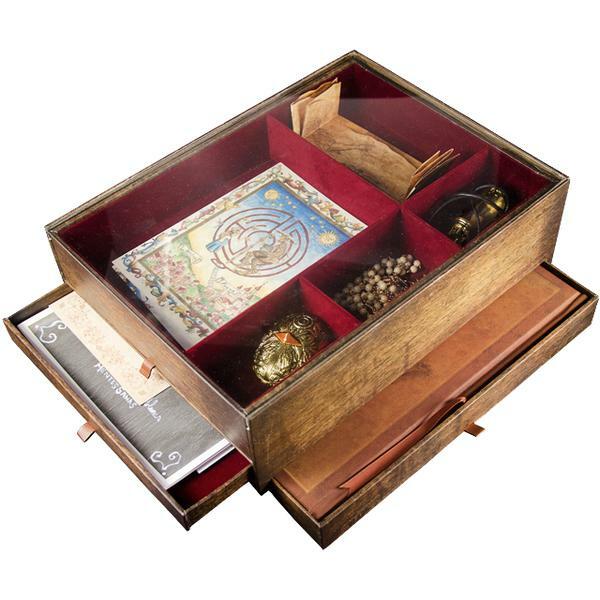 Details : A spectacular limited edition of Guillermo del Toro Cabinet of Curiosities—ingeniously designed in a partitioned, two-drawer replica of a cabinet and featuring never-before-released artwork and a trio of custom components drawn from his films. 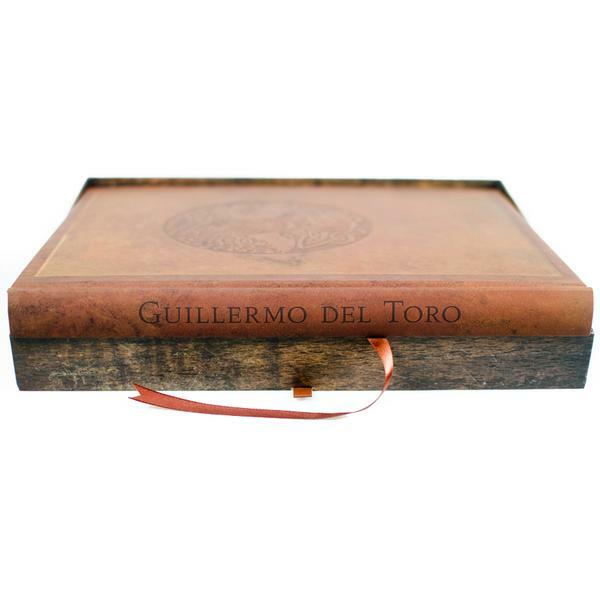 Reflective of the genius of del Toro himself, this specially designed limited edition is encased in a cabinet with partitions and a secret compartment that holds the book. 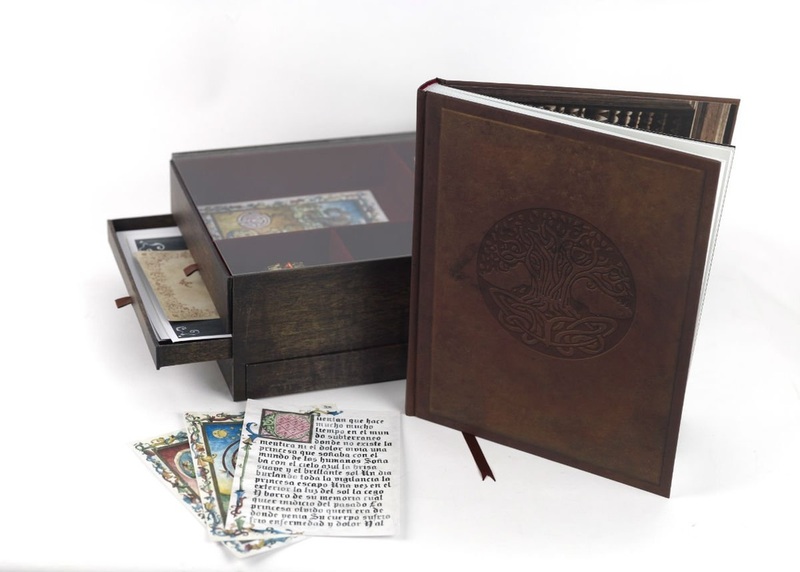 Deluxe in size, Guillermo del Toro Cabinet of Curiosities: Limited Edition features high-quality matte art paper and debossing. 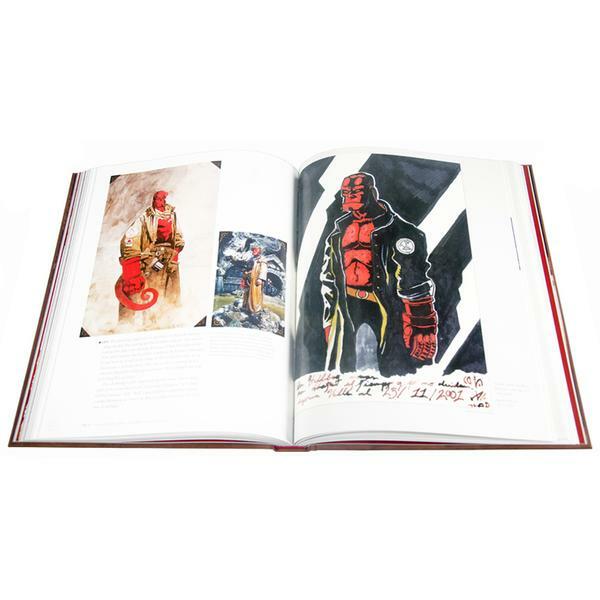 Each limited edition is signed by del Toro, and includes four never-before-released original art prints, three custom reproductions of iconic props from his movies: Professor Broom’s rosary from Hellboy, the Cronos scarab, and the bone amulet from Hellboy; a replica of a page from the Cronos device instruction manual; four cards reproducing artwork from The Book of Crossroads in Pan’s Labyrinth; and a Certificate of Authenticity. 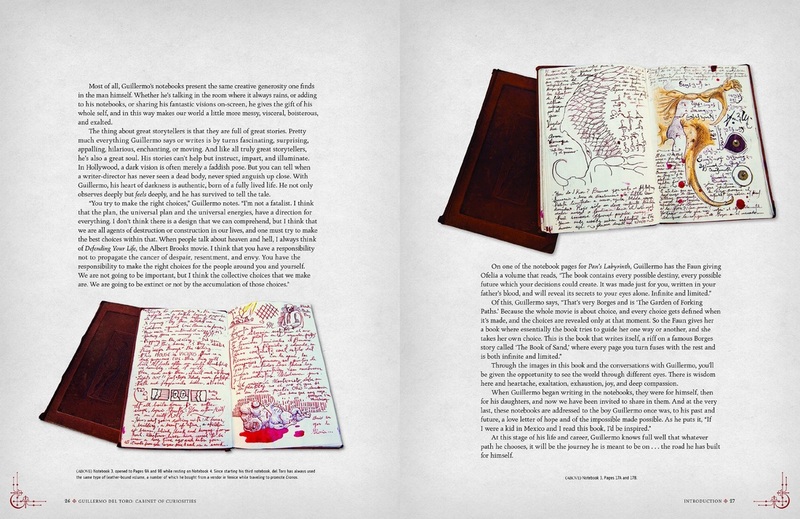 An essential keepsake for all del Toro fans, this extraordinary collection reproduces the notes, drawings, creatures, and ideas of things to come that fill Guillermo del Toro’s fabled illustrated notebooks. 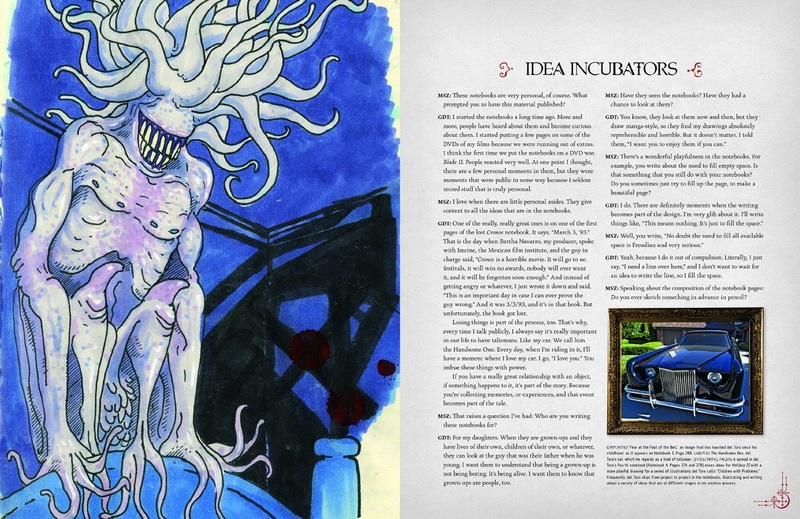 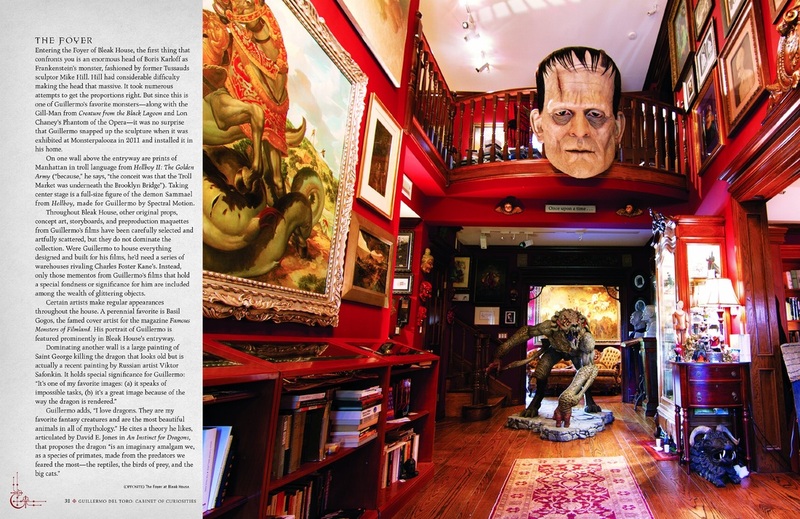 An in-depth interview with writer and filmmaker Marc Scott Zicree explores del Toro’s reigning themes and signature motifs, as well as the literary references, old films, and mythological figures that inspire him. 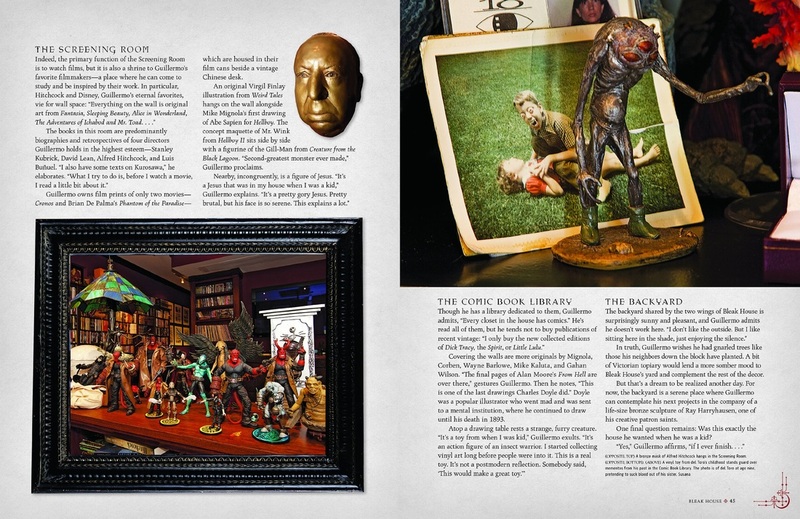 Revealing the acclaimed writer, director, artist, and producer’s private reveries as never before, Guillermo del Toro Cabinet of Curiosities: Limited Edition is a unique record of a truly arresting imagination. 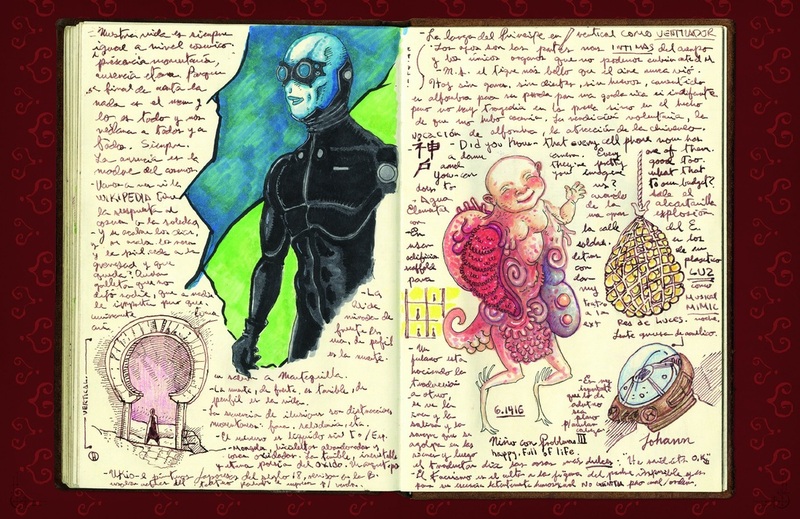 Sketches, notes, and inspirations for del Toro's movies Cronos, Blade 2, Hellboy, Hellboy 2, Pan's Labyrinth, and even his upcoming 2013 movie Pacific Rim will be included.